We get a lot of calls and emails about the East Bay Eichler tracts. These architect-designed mass-produced modern homes have garnered a great deal of attention because they are so different (and in many ways better) than the majority of tract homes built in the 50s and 60s. 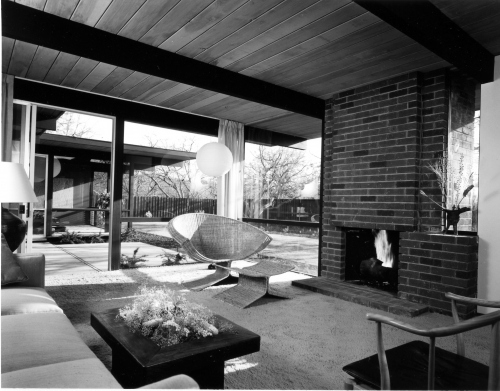 Most of the resources on the web are focused on the Eichler tracts in the South Bay and North Bay, which is unfortunate because the East Bay boasts the most inexpensive Eichler homes in the Bay Area. And since Eichler homes are not custom, but rather a limited number of models repeated again and again, one can find the exact same home in the East Bay as may be found in Palo Alto or San Mateo at a substantial discount. The Eichler tracts in the East Bay are found in Oakland, Castro Valley, Walnut Creek and Concord and include over 800 homes, so it is not unusual to have one or two on the market at all times. At Edificionado we have developed the East Bay Eichler Email List for those who are as interested as we are in these exceptional examples of modern design. If you would like to receive email notifications whenever a new East Bay Eichler comes on the market, send an email to colson@edificionado.com and we will add you to our mailing list.